In the 19th century Ireland’s political conflicts were widely followed in New Zealand, but when the ‘Troubles’ emerged in Northern Ireland in the 1970s there were almost no echoes in New Zealand. An important site of the renewed agitation was Londonderry, or Derry as it was called by the large Catholic population. 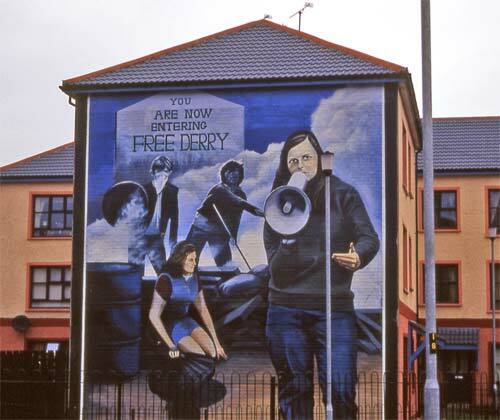 The MP Bernadette Devlin, shown in this mural in the city’s Catholic enclave of Bogside, became a leading campaigner for Catholic civil rights in Northern Ireland.